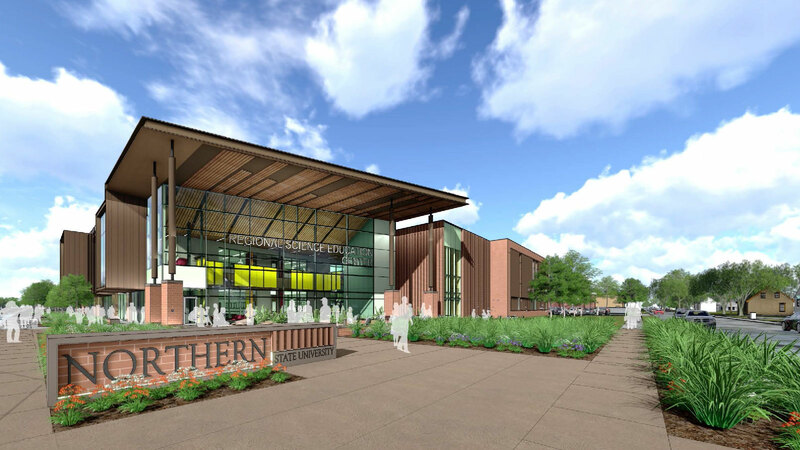 Northern State University is recognized for its teacher-education degree programs, so it was only natural for NSU leaders to envision the campus’ new science building as a resource not only for college students but also for the larger area’s K-12 school districts and other organizations. 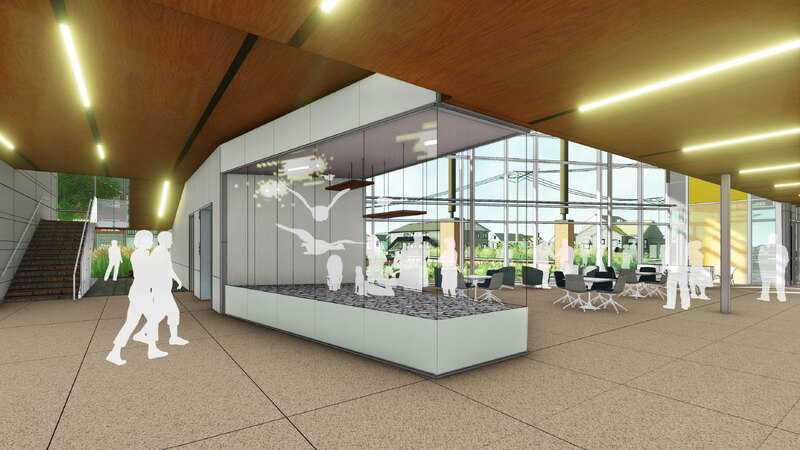 The TSP + SmithGroup team’s design for the Regional Science Education Center considers needs for faculty and students of all ages. 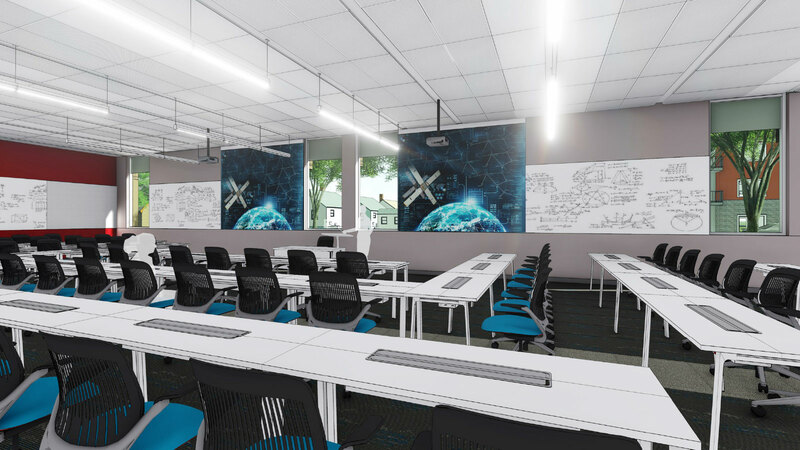 Our architects, engineers, planners, and interior specialists provided specialty lab programming and design to provide NSU, the Aberdeen community, and the state’s northeast region with a cutting-edge facility that offers room to grow. 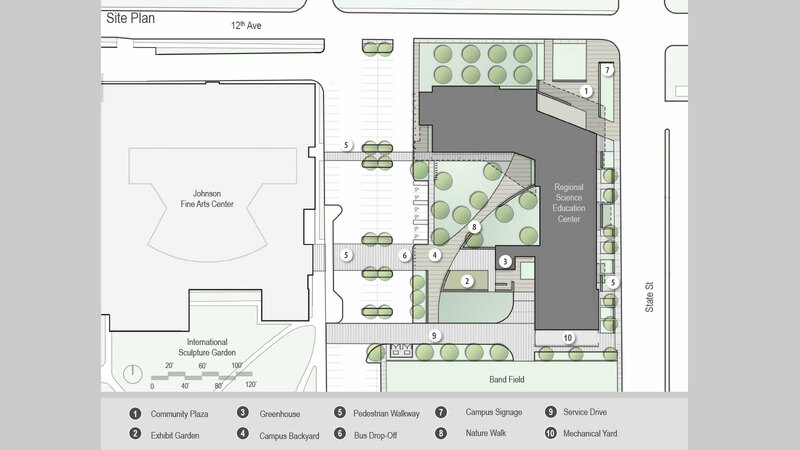 The L-shaped building gives the campus a prominent new entry at the intersection of State Street and 12th Avenue. The two-level structure features a raised canopy that lends significant scale. 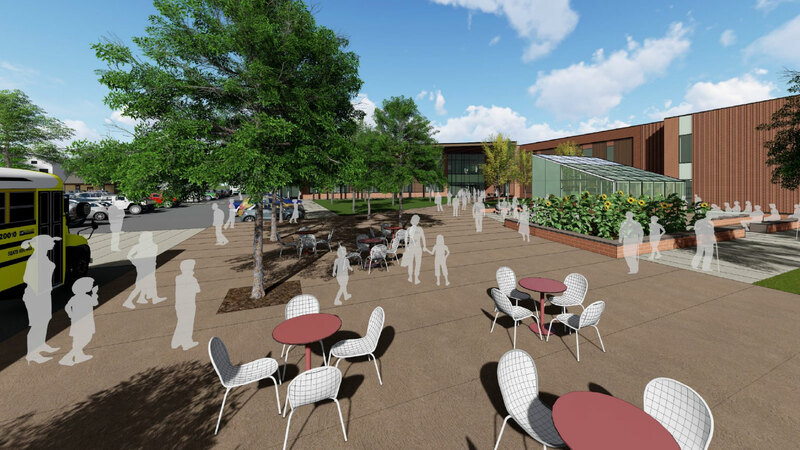 The brick on the canopy supports are a nod to the four brick stations that mark the campus edge. Collaboration-pod bump-outs cantilever over a walkway along State Street, creating an interplay between indoor activity and outdoor pedestrian and vehicle traffic. A plant-science greenhouse on the building’s west side adds visual interest as field-trip groups approach via the bus drop-off loop and enter through an outdoor courtyard framed within the “L” shape. Learning experiences continue indoors. 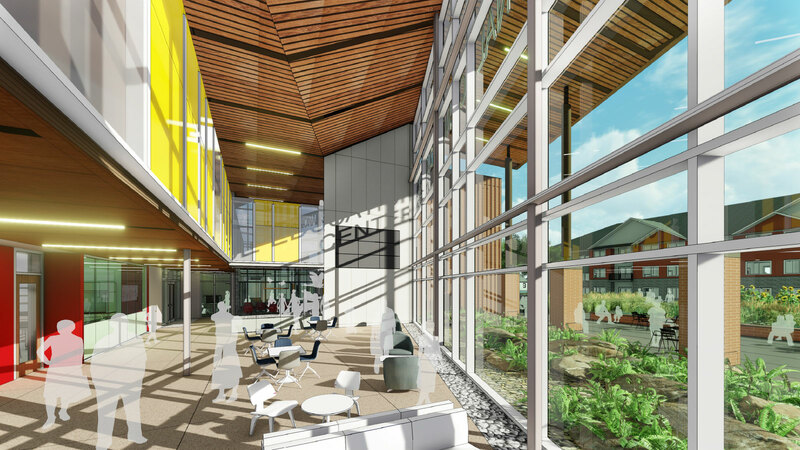 A large, sunlight-filled lobby sits at the juncture of the building’s two wings, looking out to a community terrace off the northeast corner. 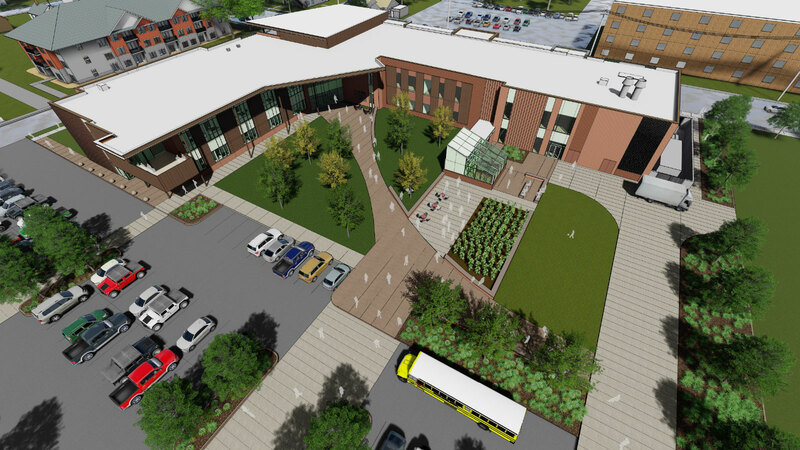 Administration and faculty offices as well as support spaces occupy the shorter arm of the “L,” which is brick-clad for a more traditional campus look. 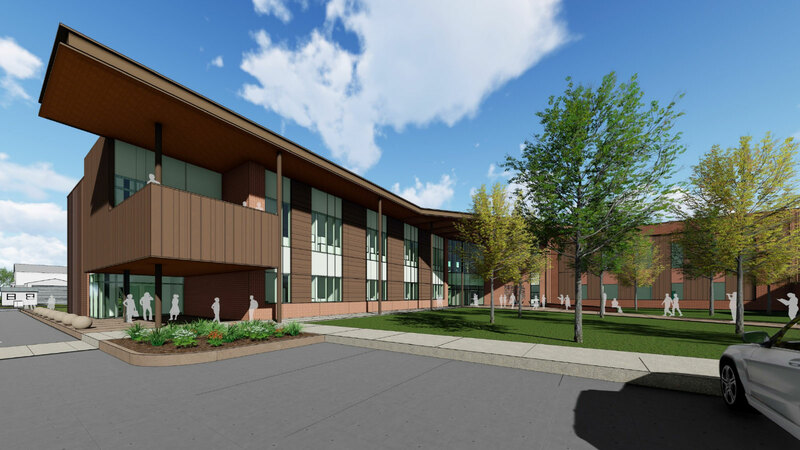 This wing’s first level also includes an 80-seat classroom and a flex classroom. On the second level, a computer classroom with workstations along the perimeter offers large monitors for geographic science projects involving Global Information Systems (GIS). The longer arm of the “L” fronts State Street. 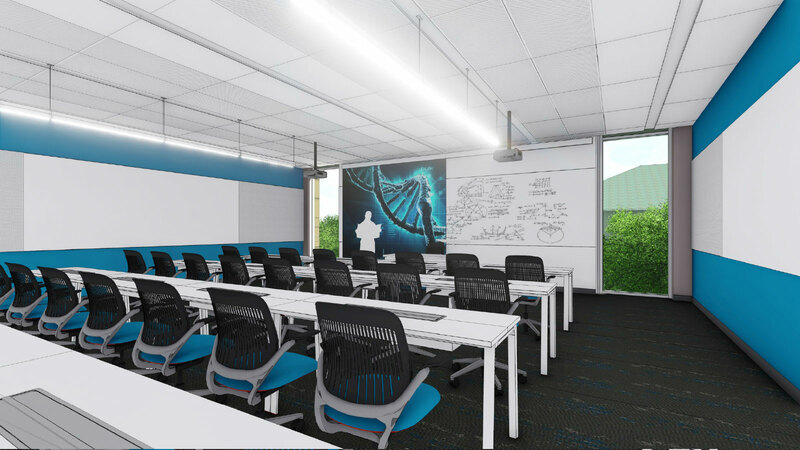 It houses 12 learning labs set up as “classatories” for disciplines including biology, ecological sciences, chemistry, physics, and biomedical sciences―including an imaging suite and a tissue-culture lab. 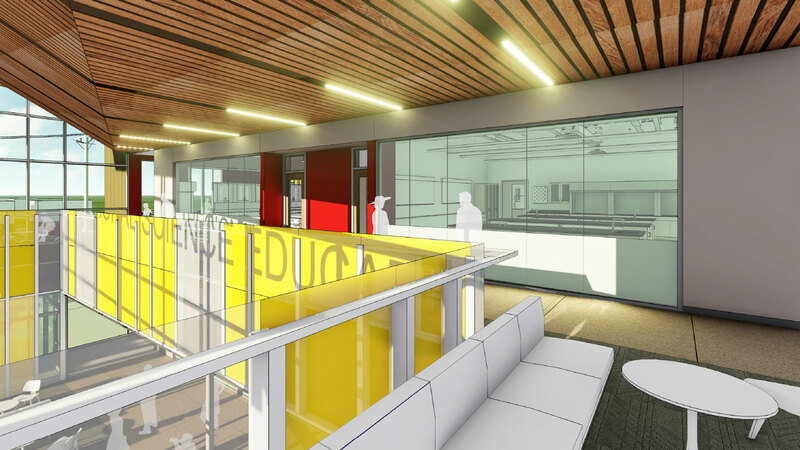 The biomedical lab’s temperature controls, high-performance flooring, and locker rooms with showers enable use for human-anatomy cadaver workshops. Every lab has a front entry from the primary hallway system and a rear door that accesses a shared research/prep lab. 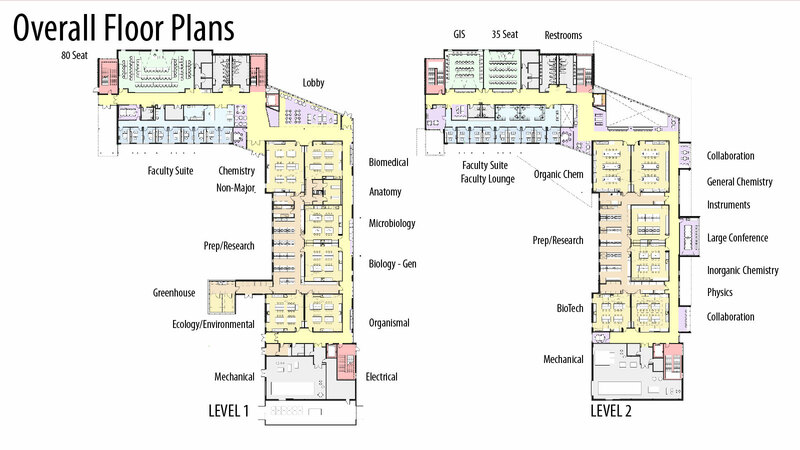 This resource on each floor contains large equipment and supplies for use across disciplines. 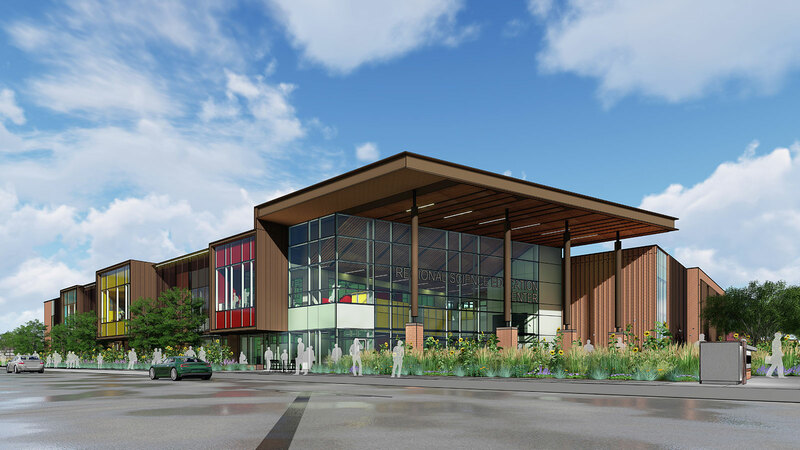 The facility is designed to meet LEED v4 guidelines.